This article was first published on Sethlui.com on 4 January 2019. 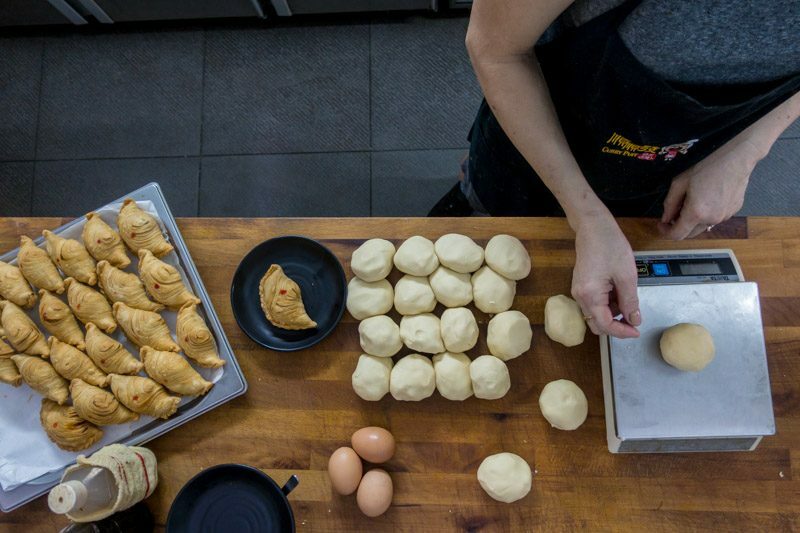 Even if it means travelling halfway across the island and getting lost along the way to hunt for Singapore’s so-called first ever curry puff cafe, my love for this shortcrust pastry knows no bounds. 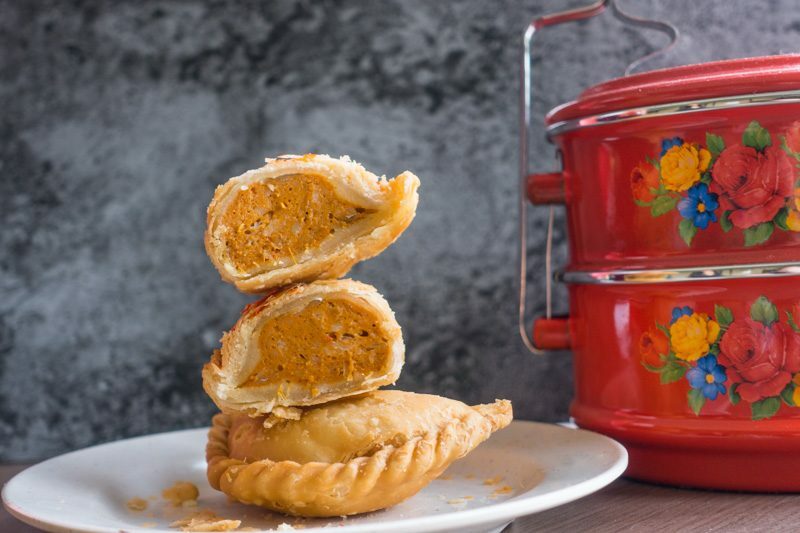 Hidden in a corner along East Coast Road, Soon Soon Huat Curry Puff prides itself as one of Singapore’s pioneer curry puff makers. 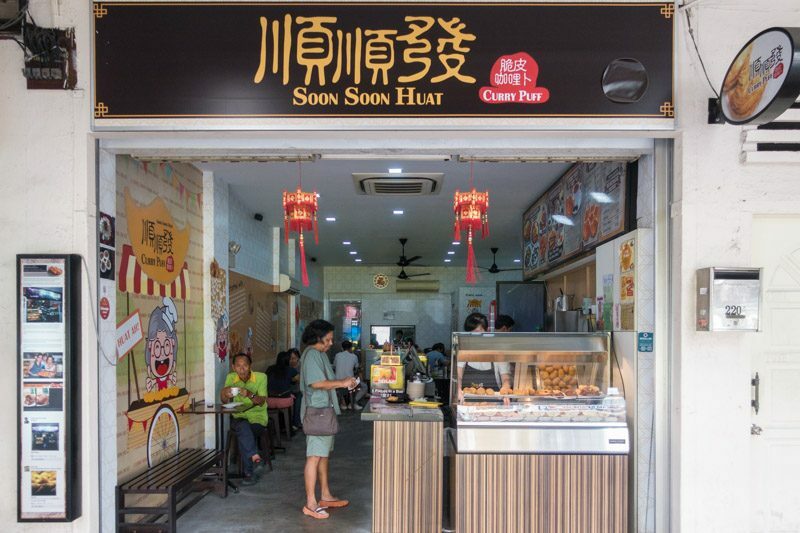 Previously located at Blk 1A Eunos Crescent and formerly known as ‘1A Crispy Curry Puff’, the owners of Soon Soon Huat Curry Puff have been in the pastry industry for nearly three decades. 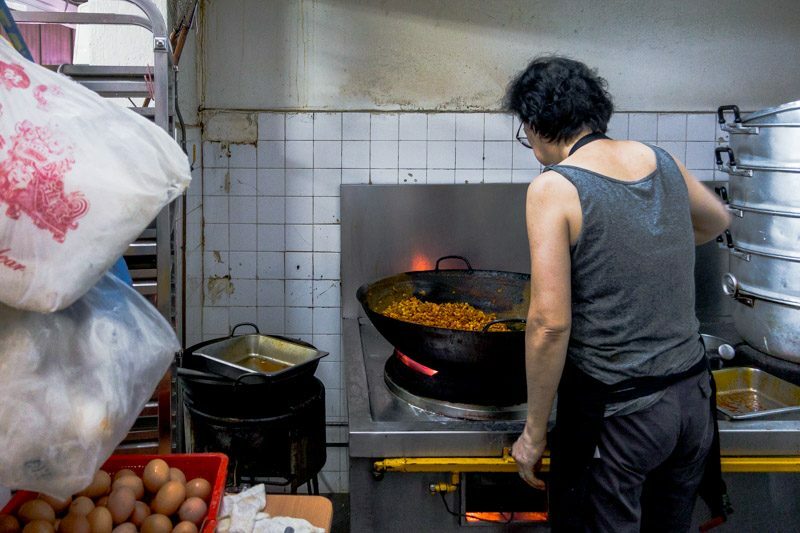 Every working day, the mother-daughter duo, 38-year-old Tay Mui Lan and 60-year-old Ow Siew Kheng, arrive early to prepare the ingredients and hand-make the curry puffs from scratch. 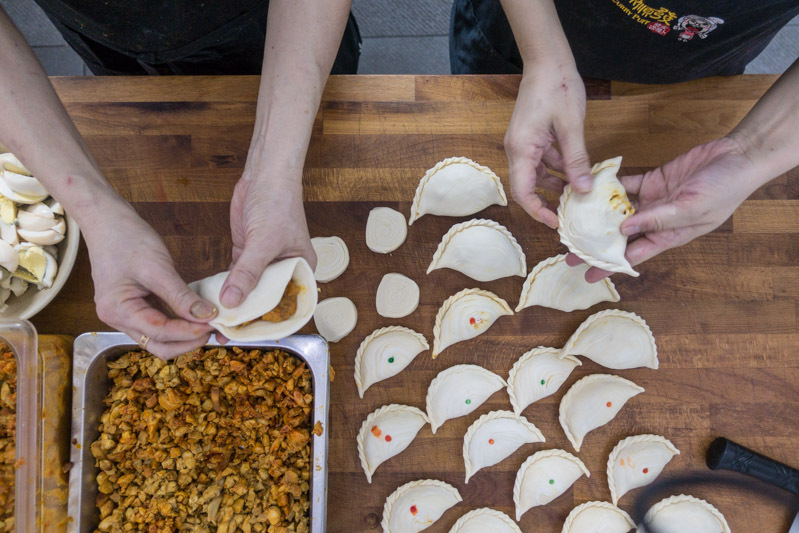 Each batch of 40-50 curry puffs features dough that’s been meticulously measured, freshly kneaded, generously filled with diced curried chicken and potato chunks, and gently pieced and sealed together by the hands of Mei Lan, her mother, and a few other employees. Mei Lan, who resigned from her previous job as a secretary, took over the family business in 2009 after hearing how her mother wanted to close shop. 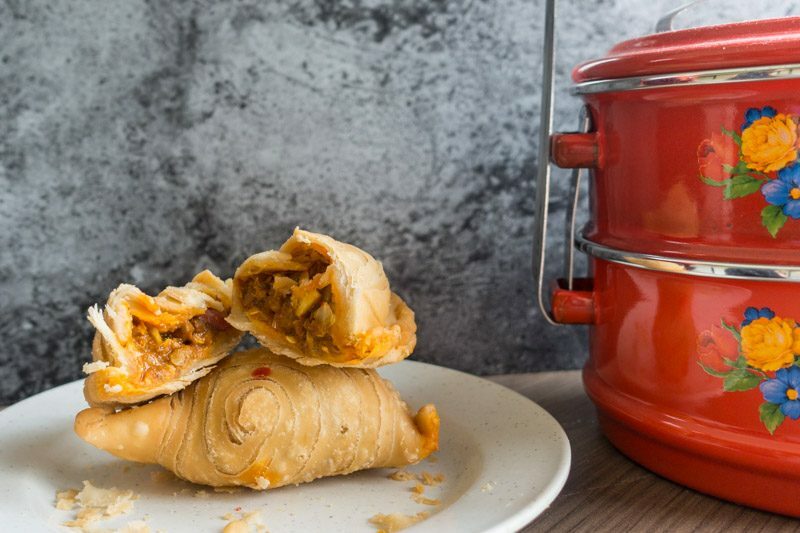 The recipe for the curry puffs is the brainchild of Mei Lan’s late grandmother, Lim Sai Hiong, who founded the original store in Eunos Crescent in 1992. She was, as Mei Lan recalls, known as Tao Kae Ma (which means ‘grandma boss’ in Hokkien), and started this business as a form of livelihood. 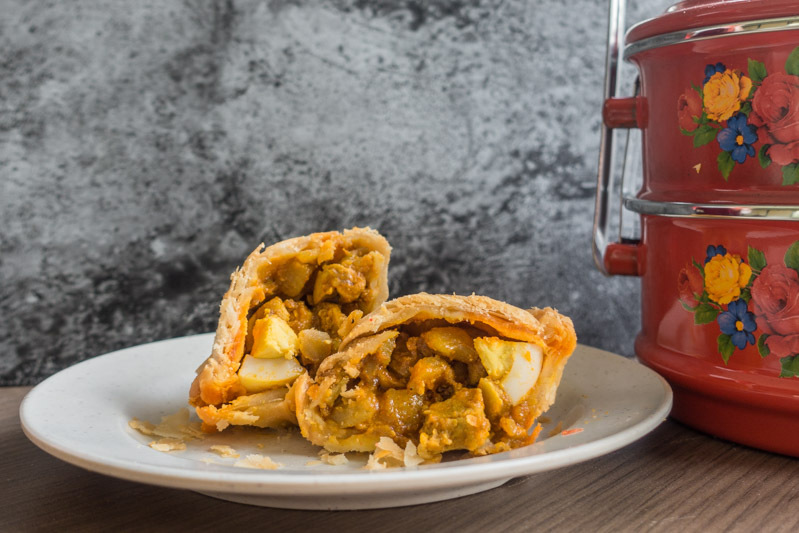 What makes Soon Soon Huat Curry Puff stand out is the flaky and layered exterior on the curry puffs which only surfaces after deep-frying. This, according to Mei Lan, was a result of all the trial-and-errors Tao Kae Ma underwent. 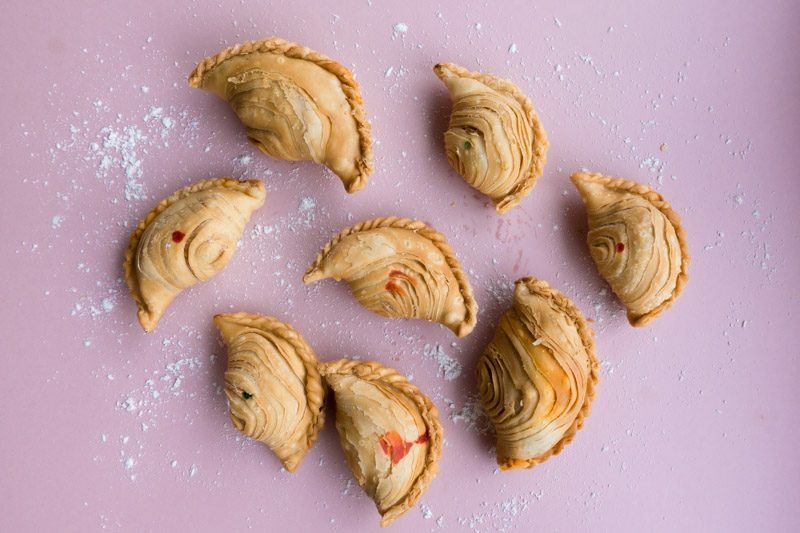 While these deep-fried shortcrust pastries are often seen stuffed with diced curried chicken, various variations, including otah, custard, sardine and durian flavours, have been developed at Soon Soon Huat Curry Puff over the years as well. 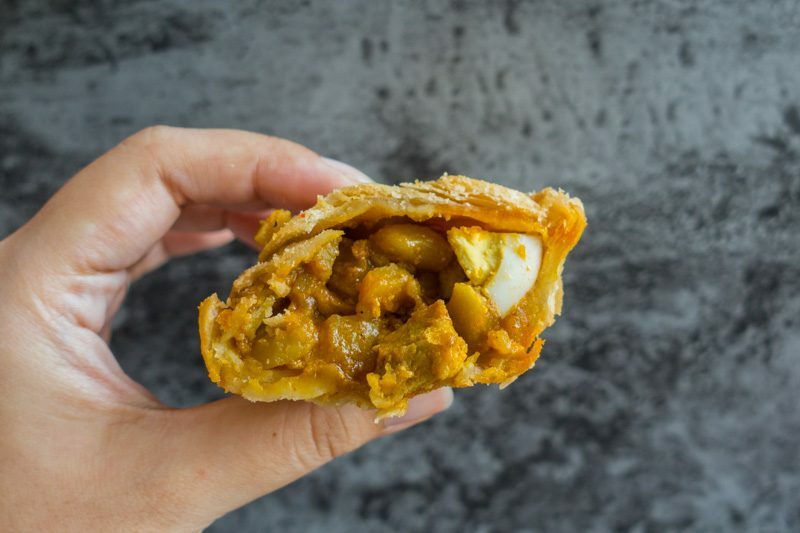 The Curry Chicken Puff (S$1.70) is the largest of the lot – filled with a copious amount of curried chicken, potato filling, and a small slice of hard-boiled egg. Both the curry chicken and potato cubes were tender and moist, and the pastry case was mildly spicy. I eventually learnt that a decision to tone down the spice level was made by the third-generation hawker to appeal to those who cannot tolerate the heat. The flaky crust was thin, crispy, and not overly fried. It had a melt-in-your-mouth texture which paired well with the fillings. 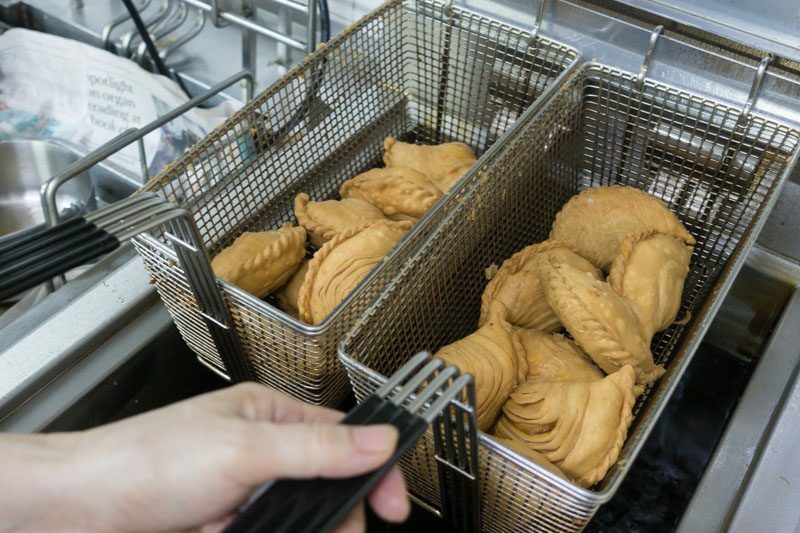 You can also opt to buy various curry puff sets such as Kopi/Teh + Curry Chicken Puff (S$2.80) in-store as well. Made with Batam fish and chilli paste, it was a delight to munch on the Otah Puff (S$2), which was both rich and savoury. 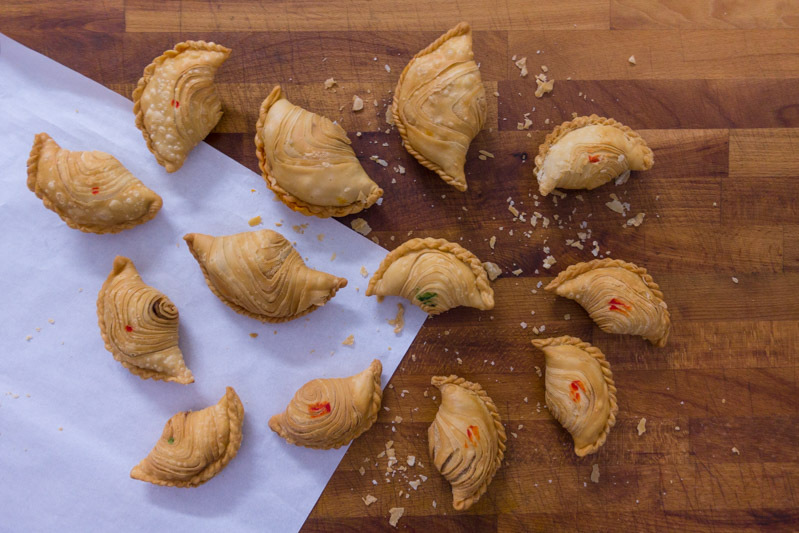 For those seeking a fiery kick to their shortcrust pastry, the Sardine Puff (S$1.20) is a must-try. Packed alongside white onions and chilli padi, the sardine filling was not fishy at all and provided a creamy texture. 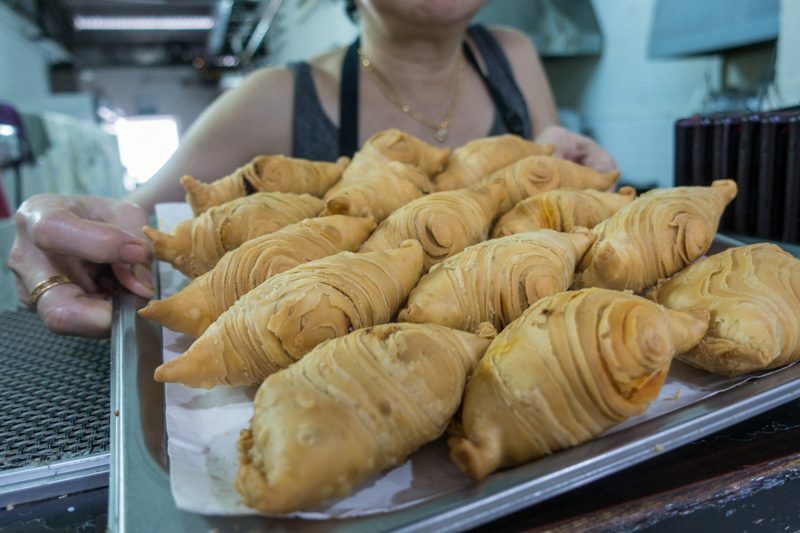 Years of R&D led to the invention of the Custard Puff (S$1.20), a well-received snack amongst unsuspecting tourists and the younger consumers. 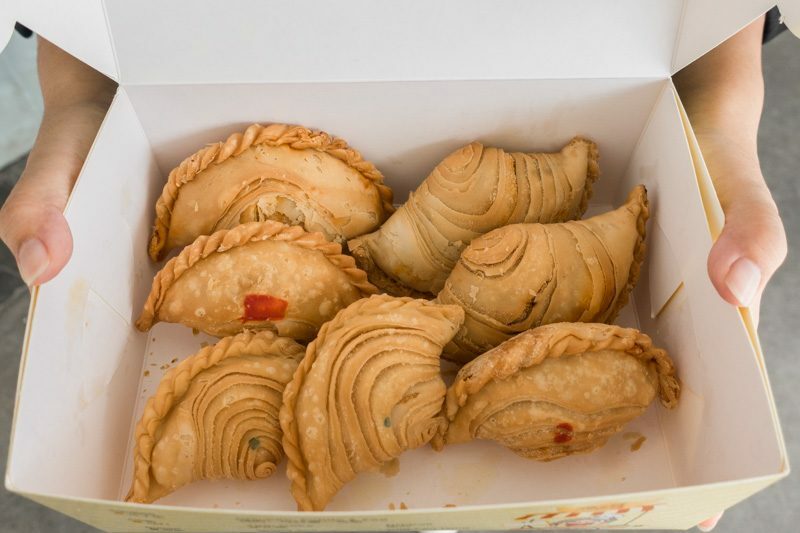 Made with stirred custard, the Custard Puff was light, slightly sweet, and not jelak at all, making it a wonderful light bite and a dessert. 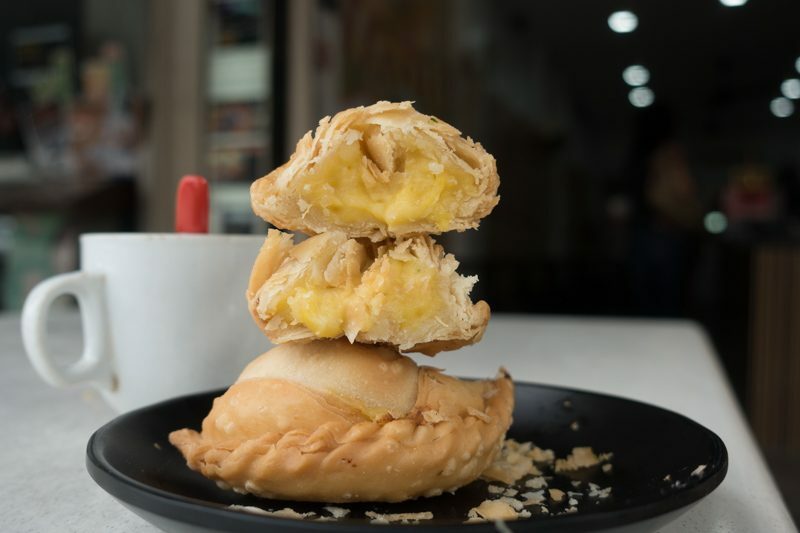 Only available on weekends, the Durian Puff (S$2) incorporates many Singaporeans’ favourite D24 durian (along with some coconut milk and custard) into one ‘sinful’ pastry. Being a durian lover, the Durian Puff really hit the spot and had a consistent durian flavour and a creamy mouthfeel in every bite. The addition of the coconut milk to the D24 durian mix definitely masked the pungent smell of the durian, which I reckon would help some to overcome their disdain for the king of fruits. 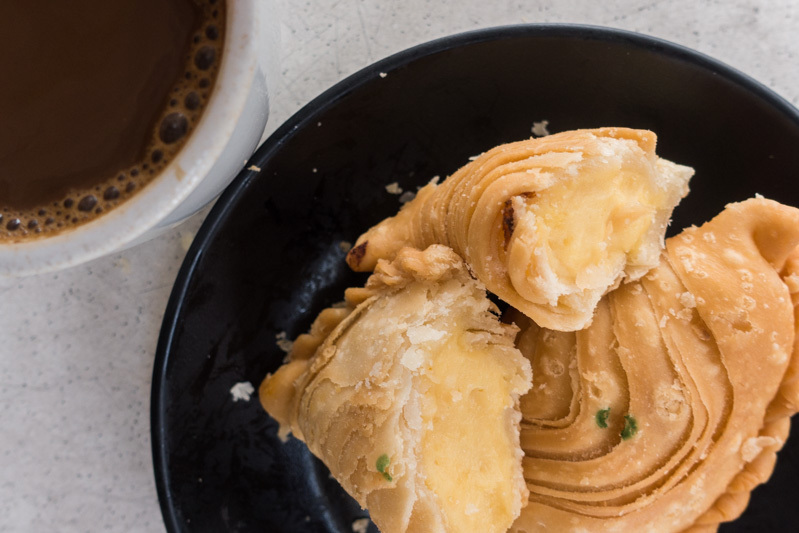 In a way, dining at Soon Soon Huat Curry Puff and munching on these crispy puffs is akin to eating at an old-school tuckshop; the food was simple and distinctly delectable, and the coffee was affordable. Here’s to hoping this toasty little room along East Coast Road will always be filled with nostalgic customers and the fragrance of this freshly-fried traditional pastry. Will I be back for Soon Soon Huat Curry Puff? Let’s just say I’m banking on bringing my whole family here.